Susan Fripp started her riding school in July, 1978. The farm was originally called Sandhill Stables. She graduated from Humber College Equine Studies program in 1979 and started the school to fulfill her dream of a riding school where people of all ages and walks of life could learn to ride safely and correctly. Susan became a certified Coach 1 in 1981 and a Coach 2 in 1984. She also became a National Coaching Examiner at that time. 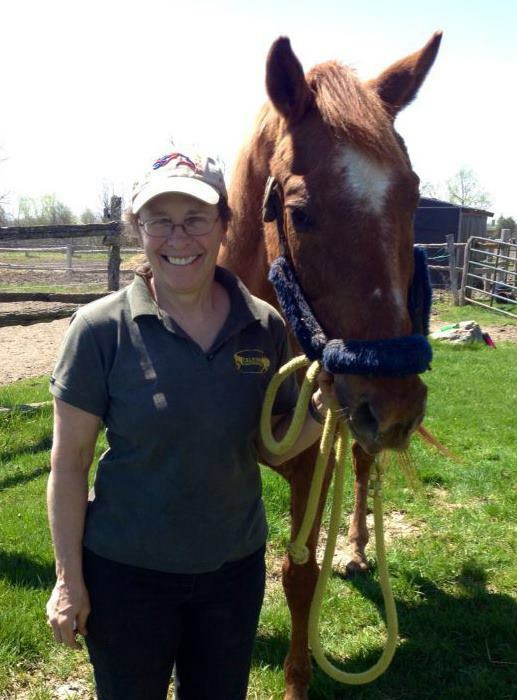 Susan has served on many boards from community councils to the Ontario Equestrian Federation. She also owned and produced Canadian Coach, a National Coaching magazine from 1985 to 1987. She produced three horse related TV shows with Rogers. Susan competed in many disciplines in the horse world but ultimately thrived in the Dressage competition ring, showing her home bred Thoroughbred, Skywalker, on the ‘A’ circuit. In 1997, Susan built Canada’s first Cover-all riding arena. This large green building was a turning point and the school has really grown in that time. The school ran summer camps with the Town of Caledon for 18 years, and now enjoys a great partnership with the YMCA. There have been numerous community programs over the years, such as school elective classes with Macville and James Bolton Public Schools. The Pegasus Program for special needs children has been a big success and helps many local families. Caledon Equestrian School also hosted the Kids and Horses Foundation students for kids in financial need, which fulfilled Susan’s dream of making riding available for everyone. Regardless of where the riders come from, they are all welcome at this special and wonderful school. Sharing the love of the horse and providing the opportunity for an educated relationship with this amazing animal is a dream come true for Susan.